Even the world’s greatest basketball player has been a victim of a poor cigar cutter. Yes, that’s right, Michael Jordan cut himself with a cigar cutter in 1999 causing him to miss one game for the Chicago Bulls. Whether it was Michael’s poor form or a poor cigar cutter the fact is, you just can’t overlook your cigar cutting. 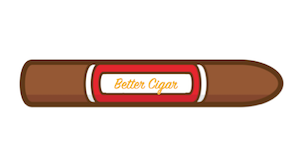 Let’s be honest, injuring yourself is unlikely to happen but to make sure you are enjoying your cigar to it’s fullest potential, Better Cigar is here to help. Our guide will include the different types cuts, how best to cut your cigar, and round it out with product reviews of the best cigar cutters available in 2017. Whether it’s a gift to a fellow cigar lover, or a gift to yourself, let us help. 3 Are Cigar Cutters Allowed on Planes? Let’s first walk through the basics of cigar cutters to understand what may be best for you. This cut is the most common – and probably the one you may be currently familiar with. It’s a clean type of cut that can be a bit hard to execute. Always try to use a premium cigar cutter when making a straight cut, the blade has to be sharp. It’s easy to think that a sharp knife or scissors will do but that’s usually the fastest way to get tobacco remnants in your mouth. The straight cut of a cigar is preferred by many cigar aficionados because it allows the most surface volume on the head of the cigar – which really means more smoke! 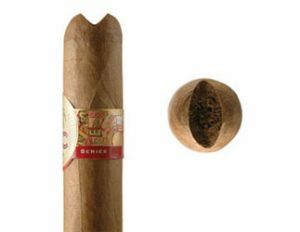 The punch cut really is what it sounds like – it’s a cut that creates a small circle at the head of the cigar. 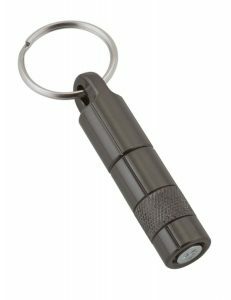 You may have seen these cutters before – they are often a lot cheaper than most cigar cutters and are attached to keychains. The big downfall of this type of cut is that it can be easy to clog a cigar with tobacco or saliva. However, some cigar aficionados like it due to it’s decreased chance of getting tobacco pieces in the mouth while smoking and the ability to take it just about anywhere. 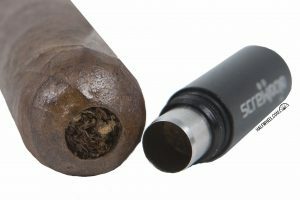 The v-cut is mostly used for larger gauge cigars (+60 gauges) or torpedo cigars, especially since these types of cigars take a lot of punches or don’t even fit in your straight cigar cutter. These cuts are normally ones you have to get right the first time – so they aren’t friendly for beginners. Similar to the punch cut, you will also find that sometimes a v-cut can be clogged easily by tobacco or saliva. Lastly, one thing to remember, is to never use a cheap v-cut cigar cutter – if the blade isn’t sharp enough you’ll like end up mutilating the cigar! Cigar cutting is an art. Well, it’s an art that is a bit hard to mess up but if you butcher a cigar too badly, it can sour an experience with a coveted cigar. Your cigar cutting can effect more than you would expect: the taste, the smoke output, and even the burn. Is there really much else? The most important thing to remember is to take your time. There’s no rush, especially if you’ve got a bit of an alcoholic buzz going already. Remember the old saying “measure twice and cut once?” Line up your cigar on the left of the “cap” of the cigar. Many times you’ll actually see a line for where the cap starts to make it easy to identify. 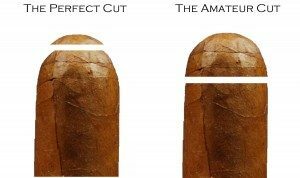 The cardinal rule of cigar cutting is to make sure not to cut your cigar too far down. Not only can you ruin precious inches that you paid for of delicious tobacco, it can create burn and taste issues as well. Double check to make sure your aligned well. Once your cigar blade is in place, press firmly and aim to cut in one firm cut. Multiple cuts can cause the wrapper to unravel as you smoke it. Enjoy your smoke – keep in mind, with only a few more cuts you’ll be able to perfect the art of cutting your cigar. That is, if you have the right tool! One of the most common questions about cigar cutters is whether or not you can safely bring them onto the airplane. Today, you can never be too sure what will fly (no pun intended). According to the TSA, cigar cutters are not allowed to be carried onto the airplane. However, I know many who have had no problems with flying with them under the pretense of it being similar to scissors (<4 inch blade). 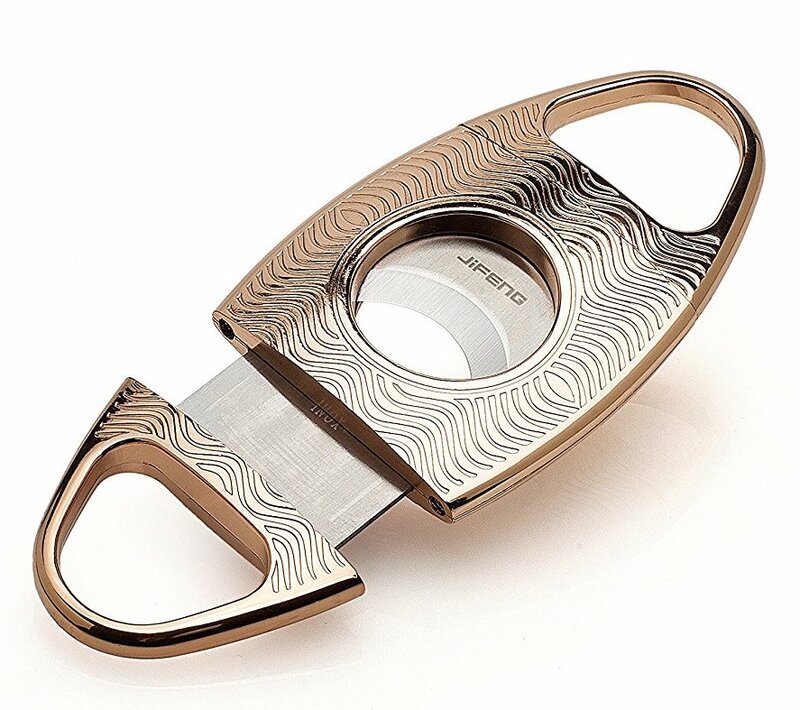 That being said, if you own an expensive cigar cutter, I would recommend buying a less expensive alternative for flying just in case you run into a cranky TSA employee. We are going to include a cigar cutter that’s a little out of the ordinary… what’s a list of the best cigar cutters without a female friendly one? 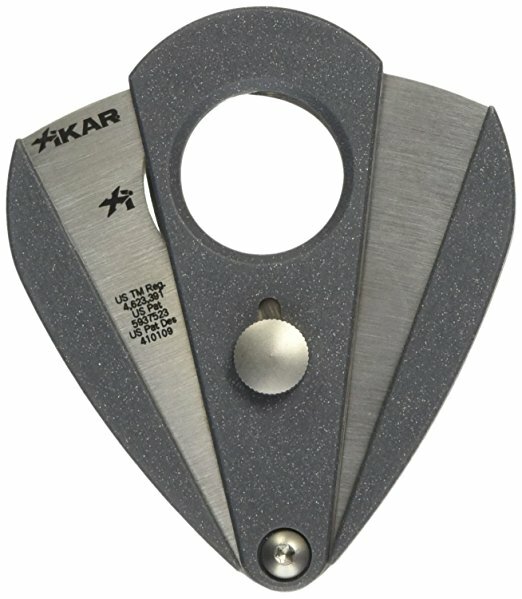 Hey there’s nothing wrong with going for a smooth cutting Xikar, regardless of the color, but some of us like to stand out with our cigar cutters. For those of us, this one is for you. Some have complained about having an issue with a blade – but I personally feel like mine is very sturdy after a couple of cuts thus far. If you are looking for a handmade product – skip this one. However, handmade is hard to find at this price to be fair. If rose gold isn’t your thing then I would bet the Xikar Xi2 likely will be. This model is all business and with a name like Xikar, you know it’s quality. The body itself (excluding the steel blades) is a hardened plastic – if you want something with more weight, then you should opt for all steel. 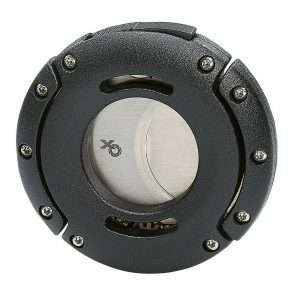 If you are in the market for a v-cut cigar cutter rather than a straight cutter, this is the one. Two year warranty provides a safety net – plenty of time to test your new cutter! Stainless steel and heavy weight frame – more sturdy than plastic. Go big or go home with the Xikar XO cutter. 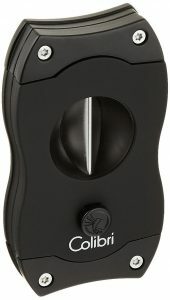 You won’t find another cigar cutter like this on the market – and as you can see the cutter comes from a popular cigar cutter brand here at Better Cigar. The price is a bit on the high side; making this a cigar cutter you can’t afford to lose!